An Afghan family that escapes from the ravages of the Soviet war in Afghanistan and settles in Karachi. A SSG officer who undergoes a personal tragedy and starts a private security company (Black Ops Pvt. Ltd) in Karachi. His SSG colleagues keep joining the company on their retirements. An idealist school master who suffers greatly under a cruel Feudal lord and settles in Karachi and finally the Feudal Lord who becomes the Chief Minister of Sindh and unleashes a reign of terror on all that cross his path. Maalik is a story of love, loyalty, honor, family value, idealism, courage and dignity against all odds, and across all sections of society from the poor and the struggling to the highest levels of wealth and power. Maalik is about ownership. The Tag line of the film is "Main Pakistan ka Shehri Pakistan ka Maalik hun" Maalik invites the viewer to take responsibility for their own life and the lives of their loved ones. The story of Maalik has four principal tracks. A family that escapes from the ravages of the Soviet war in Afghanistan and its fall out on the bordering villages of Pakistan to settle in Karachi. A SSG officer who undergoes a personal tragedy and starts a private security company (Black Ops Pvt. Ltd) in Karachi. His SSG colleagues keep joining the company on their retirements. An idealist school master who suffers greatly under a cruel Feudal lord and settles in Karachi and finally the Feudal Lord who becomes the Chief Minister and unleashes a reign of terror on all that cross his path. 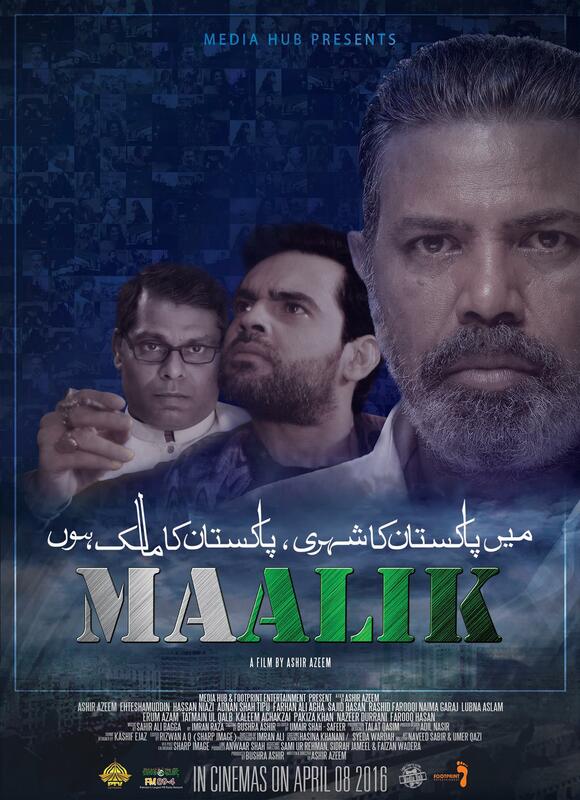 Maalik is a story of love, loyalty, honor, family value, idealism, courage and dignity against all odds, and across all sections of society from the poor and the struggling to the highest levels of wealth and power. By: Ashir Azeem The story was in pieces but the way Ashir Azeem compiled the pieces into a strong messages was too awesome. Ashir azeem did a PTV serial named as "Dhuwaan", well I was child then and I couldn't able to watch it. All I knew that he is a good director and actor. When I came across the trailer on social media I tagged my friend and he said we will go and watch it. The start was a bit slow at the end of first half I didn't even knew that which way the story is going and what actually story is but the time second half started the pieces of story started turning into a complete story and each part was looking so real that I couldn't able to realize that I'm watching a movie. The acting was super from actors and specially the camera work. There were moments when I was in tears and some of scenes made me think that how beautiful my country, my own country "Pakistan", is and how these terrorists and politicians destroyed it. At the end people were clapping and were saying it's awesome. I hope that one- day I'll see a beautiful and peaceful Pakistan. Maalik aims to highlight one of the many basic problems holding Pakistan back and comes out doing so. But the direction, acting especially by the side actors and dialogs, leave a lot to be desired. Good enough for a night out at the movies especially if you are patriotic at heart. Gets your blood pumping at some moments. Decent enough, by current standards, to be seen with kids and family. The movie drags on in the middle and just about holds all the threads together and ties them loosely together at the end. Overall, its a major step for ISPR as it has translated its productions from small to silver screen.